Follow CPEConferences on social media to view how our past delegates have enjoyed our North South Conference agenda! On top of the conference hotel at the stunning rooftop bar, Sky Lounge, join your fellow delegates for a Welcome Dinner following the Welcome Drinks event. The venue hosts the perfect atmosphere for grilled food and fabulous drinks. You will have a choice of 3 menu options when booking your tickets for this event. Please ensure you select your preferred option when completing the Activity Registration Form. Inclusions: 3 course meal, wine and beer. Meet in the foyer of the Corinthia Hotel at 12:45pm to walk to the museum. Alternatively, please meet at the entrance no later than 1:30pm as the tour will begin at 1:45pm. The hospital was created in the caverns under Castle Hill in the 1930's in preparation for World War II and was mainly used for general emergency treatment, however it also treated many civilians injured in aerial attacks. After closing in July 1945, the hospital re-opened at the start of the Revolution eleven years later treating civilians and soldiers alike. The Hospital in the Rock was converted into a nuclear bunker between 1958 -1962, with the original plan being that in the event of a nuclear or chemical attack, certain doctors and nurses would have gone there first to survive and then later reopen the hospital to treat other survivors. The museum is 1km long, and located 15 metres underground in a natural cave system. It is about 15-18 degrees inside. Note: Due to safety reasons, you will not be able to remain at the Hospital upon conclusion of the tour. Please wear comfortable walking shoes. Please meet in the foyer of the Corinthia Hotel at 9:45am for a strict departure to allow time to place any large bags or backpacks in the cloakroom before the tour begins. If you will be joining the group at the entrance to the House of Terror Museum, please ensure you arrive and have placed your bags in the cloakroom prior to 10:10am. 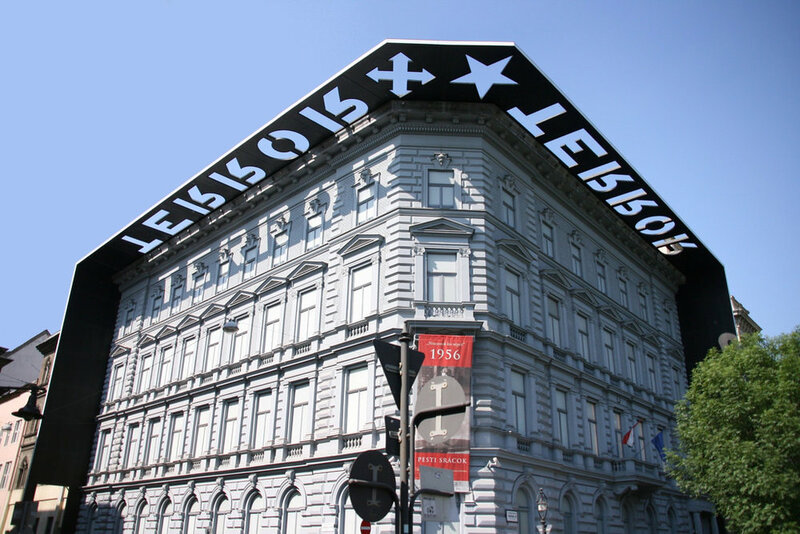 The House of Terror Museum was established in 2002 as a memorial to the victims of the two terror regimes the country survived, and at the same time depict what life was like for Hungarians in the 20th century. The Museum was created with the intention to help people understand that the sacrifice for freedom was not in vain and it aims to educate people on how the victory of freedom and independence was achieved through the fight against two cruel systems of the 20th century. This incredible building, the only one of its kind, is a monument to the memory of those held captive and tortured throughout these times. Note: Large bags and backpacks are not permitted inside the House of Terror Museum. The museum staff have recently advised that these items must be left in the cloakroom before the tour begins. For those doing both the House of Terror and Hungarian Parliament Building, it is a 25 minute walk between these venues. We recommend you have lunch after the tour of Parliament Building. Please arrive at the entrance of the House of Parliament Visitor Centre no later than 12:30pm for a 12:45pm start time. If you are not attending the House of Terror Museum tour and will be departing from the Corinthia Hotel, it is approximately 20 minutes by train. Please give yourself plenty time to arrive as the tour will begin on time and you will not be allowed access otherwise. The Hungarian Parliament (also known as the Parliament of Budapest) is rightfully considered as one of the most beautiful parliament buildings in the world and is the seat of the National Assembly in Hungary. Erected between 1885 -1902, it is the largest building in Hungary, and it has been selected as a World Heritage Site due to it's prominent panoramic location on the Danube. There are over 250 statues on both the facade and the buildings interior which represent great figures from Hungarian history, including Hungarian rulers and famous military figures. The Parliament is home to legislation, the Hungarian Holy Crown and the Prime Minister, and is a symbol of historical and political messages. This tour begins at the Visitor Centre. Inclusions: English Guide through the Parliament building including Staircase XVII, The Old Upper House Hall, The Upper House Lobby, Dome Hall and The Grand Stairway. Meet in the foyer of the Corinthia Hotel at 8:45am for a strict 9:00am departure. Experience the Jewish region of Budapest with a passionate local guide, seeing an area not often visited by tourists to help you gain a deeper understanding of the country and its history. The experience will begin with a tour around the (late) Jewish district by car with your guide providing historic information about the district and the sites. The route comprises sites like the Dohány Street Synagogue, the tree of life, the street of the orthodox community, Király Street. Following the car tour, our guide will take us to visit a Jewish local where you will learn about the traditions, religion, cuisine, and history of the Jews in Hungary, as well as about their current life. Following this tour, we will enjoy a traditional Jewish lunch with a local family - a truly special experience. We will travel to a local home where your hosts are the parents or friends of our guide, who will provide informative and interesting commentary on Budapest and Hungary along the way. Upon arrival you will be greeted by your host with traditional Hungarian pálinka (fruit brandy). After lunch, we will return to the hotel. Note: Please note that the itinerary may not run in this order. Your guide may change it, however each part will be covered. Please meet in the foyer of the Corinthia Hotel at 8:45am for a strict 9:00am departure. A full day tour of the magnificent lake region, with tastings of 5 local wines and a delicious lunch. Andras, our fantastic guide, will spend the day with us, sharing his passion for the region. Marvel at the beauty of the lake on a scenic 10 minute ferry ride from the south to the north, experience the beauty of the Tihany Penninsula - the pearl of the Balaton and enjoy a coffee/tea along with Hungarian cake in a cafe right on the lake. 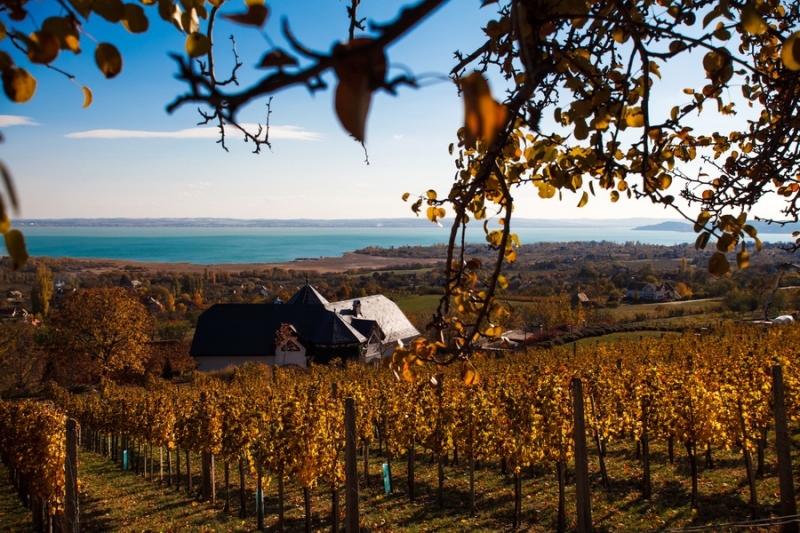 Our day at Balaton lake will be completed by a visit to a winery with an amazing view over the Balaton. We will taste delicious wines and enjoy a great cold plate meal and hot meal at a family run winery. Please note that once you confirm your attendance at the dinner by completing your activity registration form, you will be emailed a menu within 24 hours. Please reply promptly with your selection so that we can forward the details onto the restaurant. Please meet in the foyer of the Corinthia Hotel at 9:45am. The Last Glorious Defeat of the Hungarians: The 1956 Revolution and War of Independence, before and after. 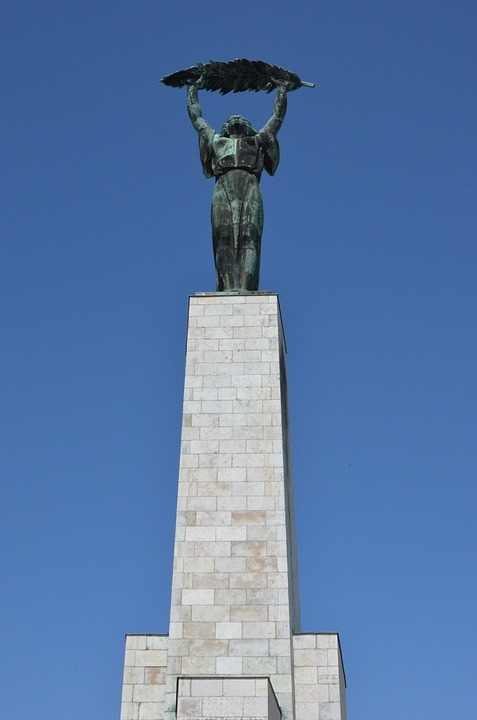 A guided tour led by a professor who specialises in the communist history of Hungary. Please note: Although the tour is of no cost to delegates and accompanying persons, lunch is not included and is to be paid individually on the day. Please note that the activities within the social agenda are non-refundable. Should you need to cancel, please let a member of the CPE Conference Team know and we will do our best to accommodate this request.